Can AviWorlds find stability under new management? The name-calling and blame-throwing seems to be settling down, and it looks like AviWorlds is starting to find some stability under new management. 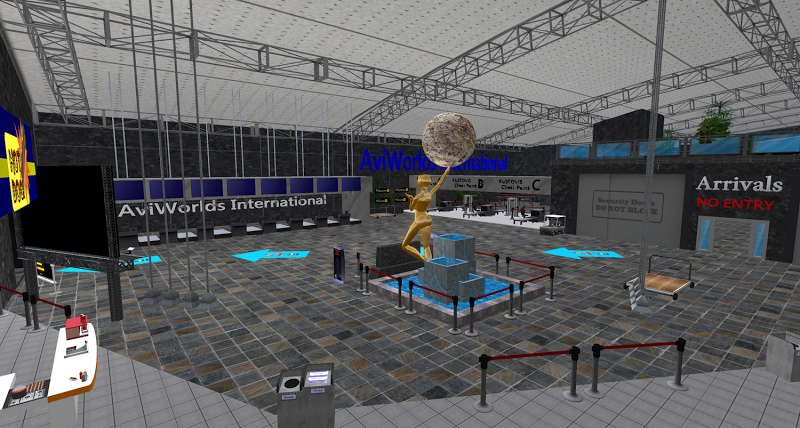 Mike Hart is now the owner of the AviWorlds grid, and of the associated domain name AviWorlds.com. 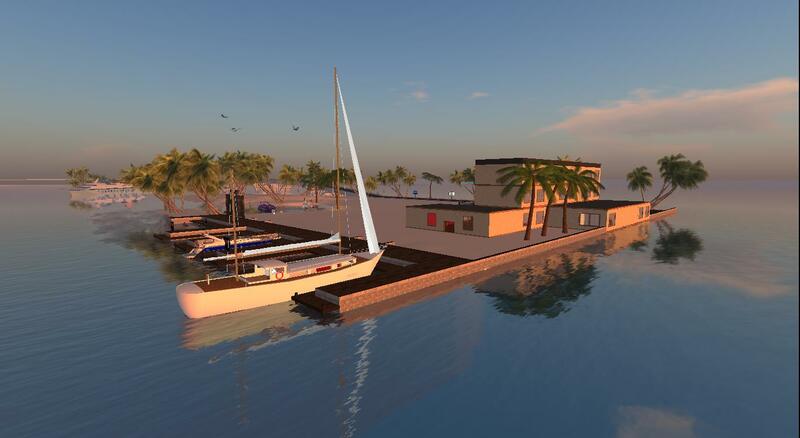 “We don’t have any paid staff, but we do have people who have volunteered to help out,” Hart told Hypergrid Business. Josh Boam is the CTO and Bryce Cannon is in charge of the Website. Previous owner Alexsandro Pomposelli, also known as Alex Ferraris in-world, is out of the picture. Like Hart’s previous venture, The Next Reality Grid, the newly reincarnated AviWorlds will be a content-focused world. The grid also has about a hundred regions laid out as a giant water megaregion, as well as the four-region adults-only Red Light City build. The latter includes the Redlight City region, Redlight City Hotel Club & Spa, Maid Manor Park and the New Fashion House Region which is mainly for clothing designers and suppliers and has a build building that houses the catwalk and stage. The water islands on AviWorlds grid. But Hart promised to pay more attention to members, as well. “We will soon hopefully be organizing events, shows, rock concerts, and fashion shows,” he said. Is there a grid without Alex? Pomposelli claims that AviWorlds’ active user base is due to him, personally. Hart and Boam are both content creators, and neither has much experience with events or other member services. However, when I teleported in, there were Portuguese-speaking people hanging out at the welcome area, greeting new arrivals. AviWorlds has long been known for its active population of Brazilians. Last week, I talked to residents Logan Hunter and Francisca Golibia, via a chat conversation I participated in via cutting-and-pasting to Google Translate. They told me that they were looking forward to the stability that Hart and his team will be bringing to the grid. In the past, they said, Pomposelli had the same kind of personal problems with his residents as he’s had with all of his former business partners and hosting companies. They shared conversation transcripts with me demonstrating his mercurial nature — one that should be familiar to anyone who’s been following the AviWorlds saga. The users keep coming back not because of Alex personally, they said, but because their friends were on the grid. The active user count on AviWorlds has been going up and down over the years — along with the grid itself. It reached a peak of 515 active monthly users in late 2012, and has since been oscillating between 150 and 300 active users. When it was up at all, of course. Today, AviWorlds is reporting 200 active users, which is solidly within its normal range. It remains to be seen whether Hart and his team will be able to retain these users or attract new ones.